Shireburn POS (SPOS) is a leading point-of-sale software solution for both retail and catering environments, within small to medium sized businesses as well as larger multi-national franchises. 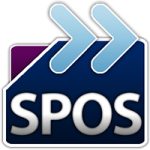 SPOS speeds up the sales process at the till with a fully configurable and easy-to-use display, whilst providing the structure and controls necessary for a robust inventory system. Integration with other Shireburn Software solutions including accounting, payroll, ecommerce and business intelligence platforms amongst others. I was already familiar with some of Shireburn’s systems. So when we decided to upgrade our restaurant software, and found out that Shireburn supports our sector, it was an easy choice to rope in Shireburn as we felt comfortable working with them. The Royal Malta Yacht Club offers an elegant dining experience, with fine food and sweeping views to compliment any occasion. We wanted to integrate all business functions across the group with one software package. We selected Shireburn because they had systems that fit our requirements, including accounting, inventory and point-of-sale solutions. Mecca Enterprises Group is a leading importer and distributor, dealing in products ranging from toys to carnival costumes, books to sporting equipment, household appliances, power boats and yachts. We wanted to shift the payroll function from manual to automated and in-house, and required the flexibility to work from anywhere, backed by professional support. Shireburn Indigo Payroll addressed my needs and more, so we confirmed it. Today Shireburn support our business with their payroll, accounting, inventory management and POS solutions. Throughout, it has been a positive experience complemented with their excellent support. Future Focus provides world class training and life long learning opportunities in order to enhance people’s career prospects. I’ve known Shireburn for many years, starting from when they developed a specialized software for me. So they were my first choice for the new retail shop. We implemented their full integrated retail system, with their point-of-sale and inventory solutions. This proved to be a smooth process as they guided us clearly in every step. In addition, they gave us prompt support whenever we needed. The Allergy Clinic and retail outlet Health Vortex specialise in diagnosis, advice and products for people who suffer from allergy problems. With two catering establishments, French Affaire and Cibo, I was looking for an inventory control system with analysis capabilities, giving me the ability to analyse the cost of consumption amongst other interesting metrics. Shireburn put forward a proposal to us that was able to cover the control and data that was required for our analysis. We are very pleased with our decision to work with them. Testa Catering Concepts runs two concept catering outlets at The Point, French Affaire and Cibo. We’ve been working with Shireburn for a number of years using their financial, wholesale and payroll system. Our company had expanded into a chain of catering establishments called Caffe Pascucci, with one outlet In St Venera and the latest at the Baystreet Shopping Complex. Shireburn’s POS for Catering fit the bill and integrated with the rest of our inventory and accounting systems also from Shireburn. So we were perfectly content to entrust this project to them. Caffe Pascucci excels in superior quality coffee with an exclusive blend. We chose to work with Shireburn POS primarily because of its direct integration with their inventory and accounting solutions, providing us with better control on cost of consumption but also because of their after sales support which is important to enable us to efficiently run our catering establishment. Bistro Ten-O-One was the first food outlet to open at SmartCity Malta and offers its patrons the opportunity to dine and enjoy lovely sea views from its terrace. When it came to choosing a software system for our first outlet, we approached Shireburn amongst other contenders because they were highly recommended for their support. Following a demonstration of their retail and restaurant solution, we decided to proceed with them and have since worked closely with the team, implementing the new system as well as supporting our every day requirements in the running of our business. Back to Basics is an innovative concept store offering customers a large assortment of best quality organic and gluten free foods.